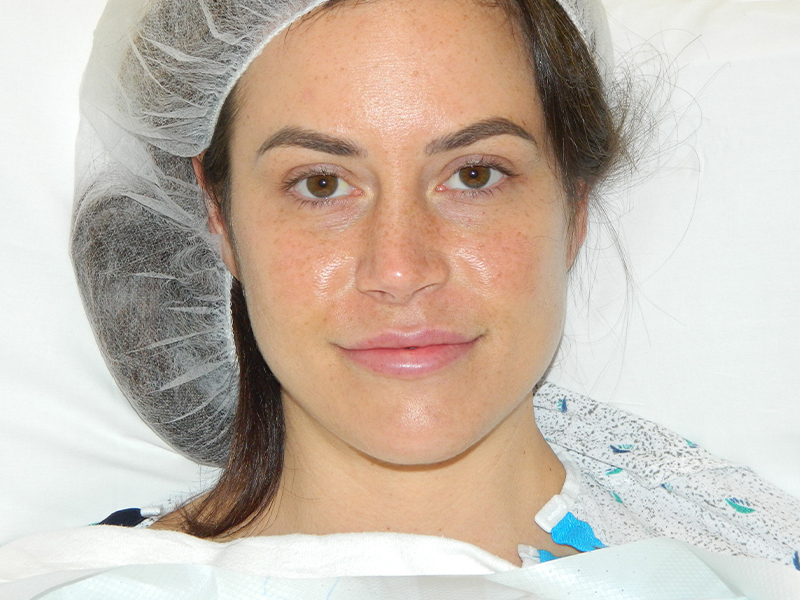 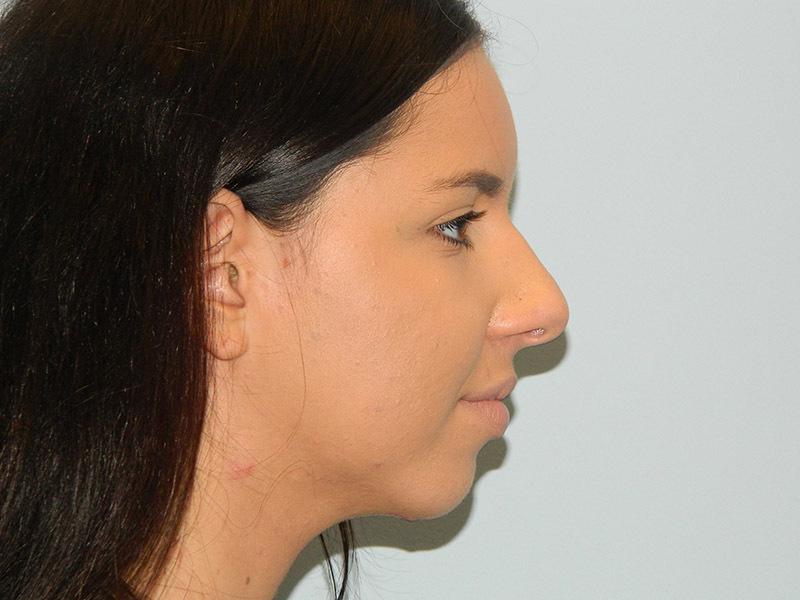 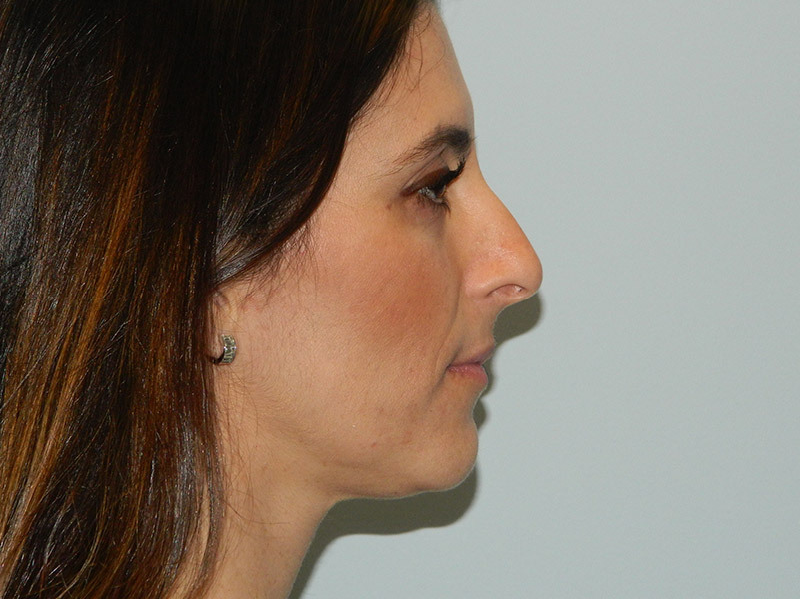 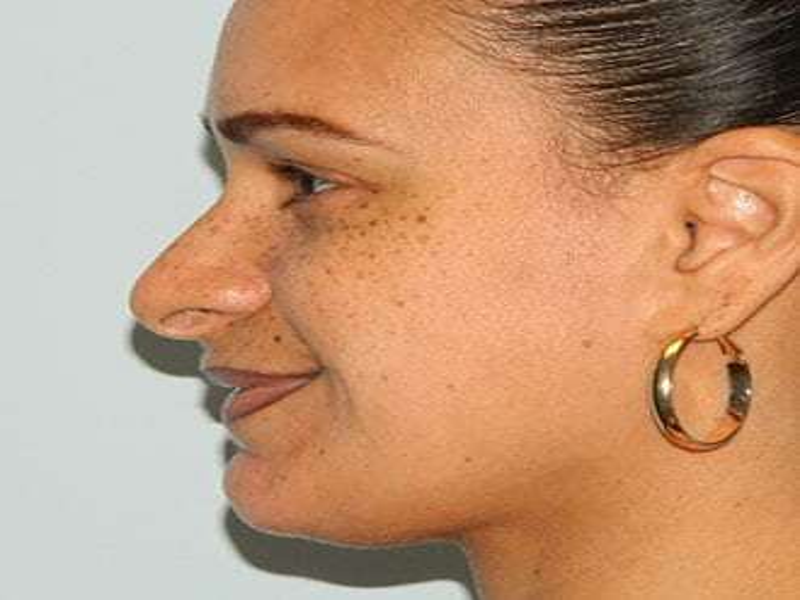 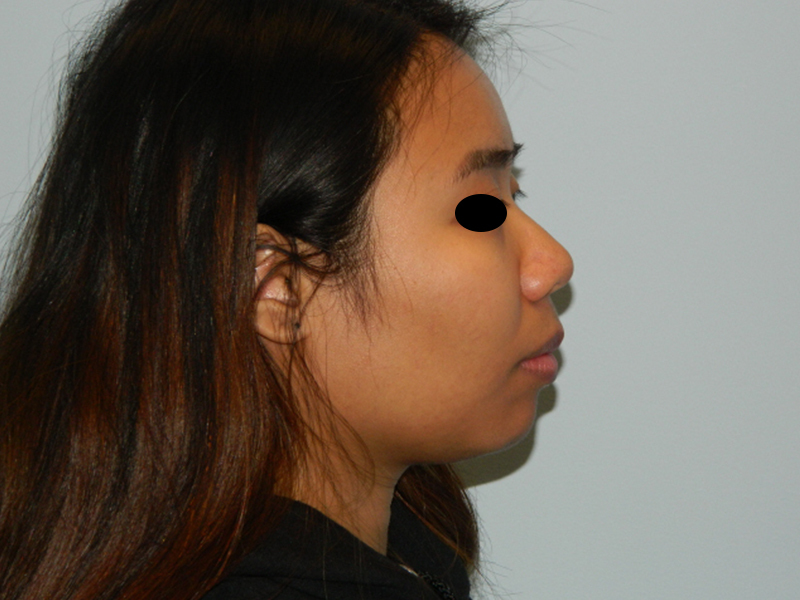 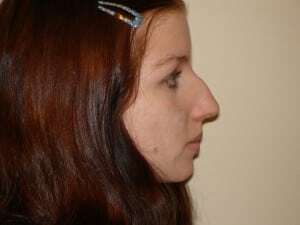 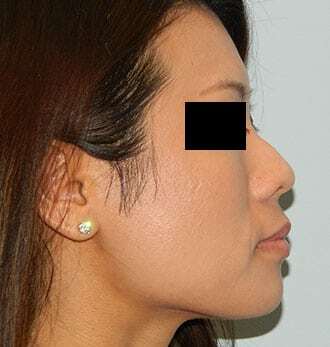 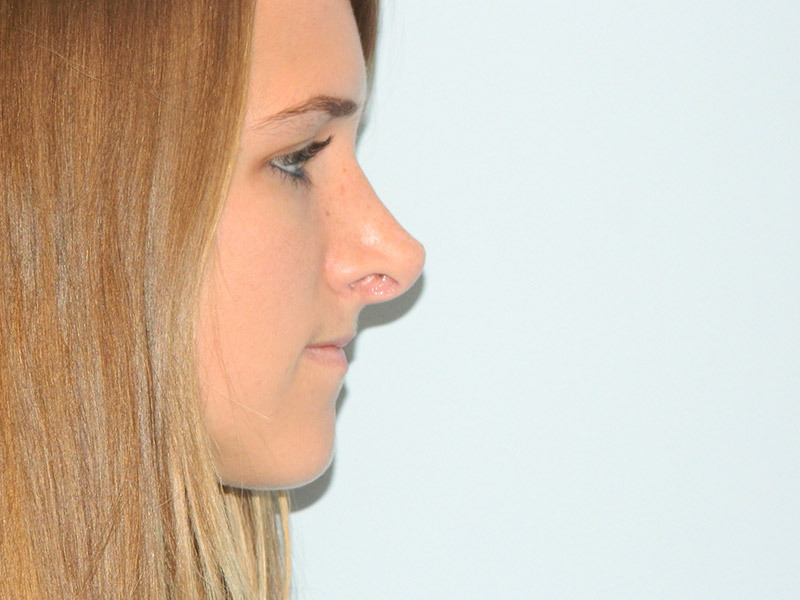 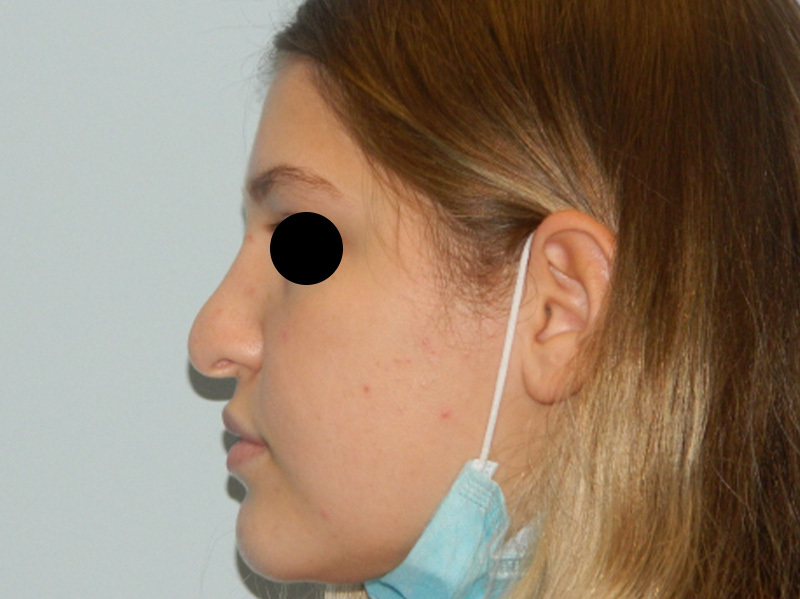 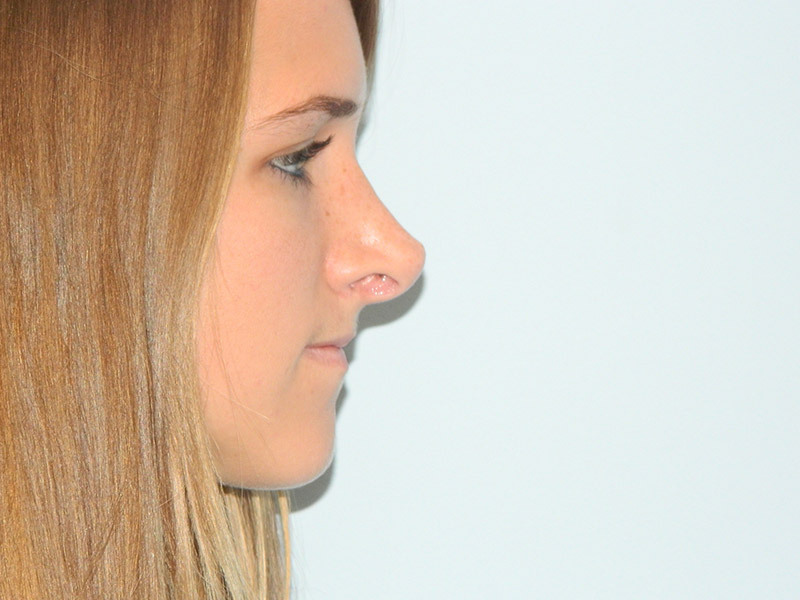 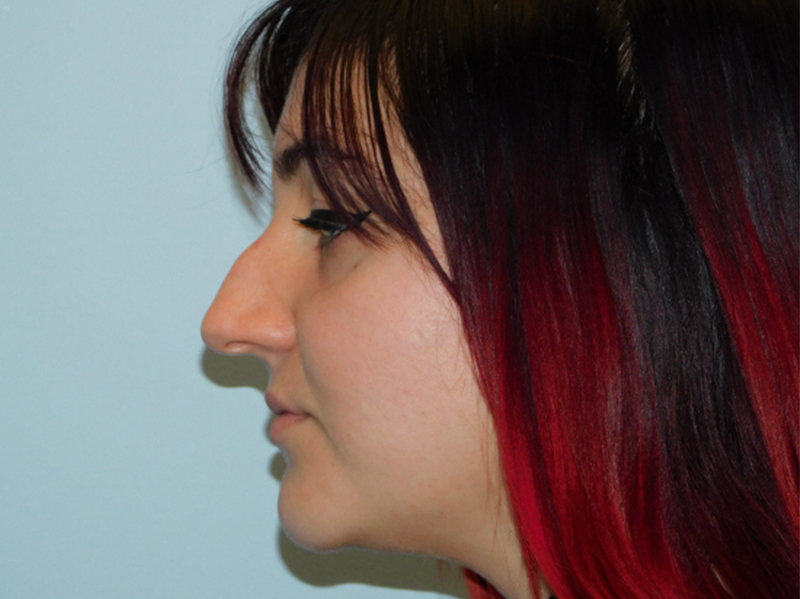 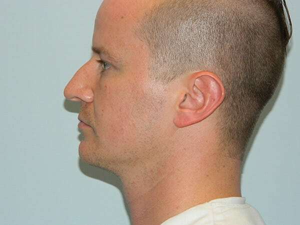 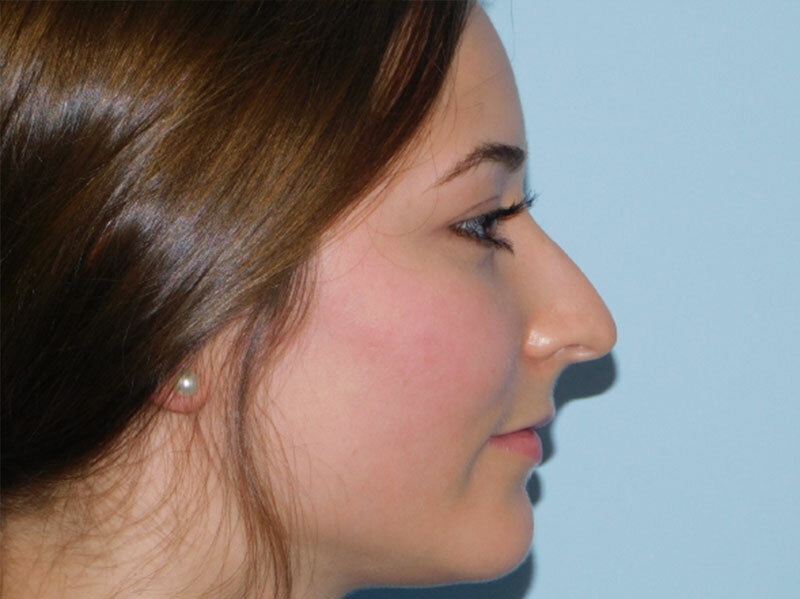 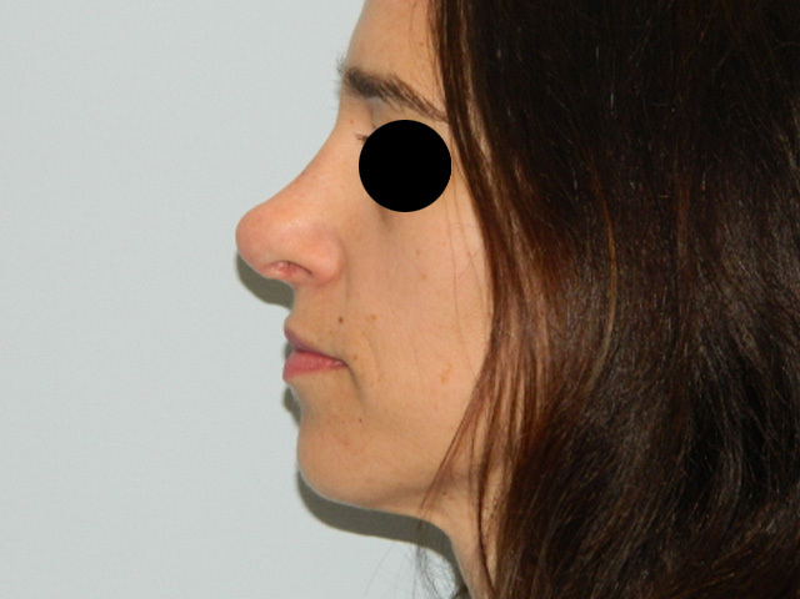 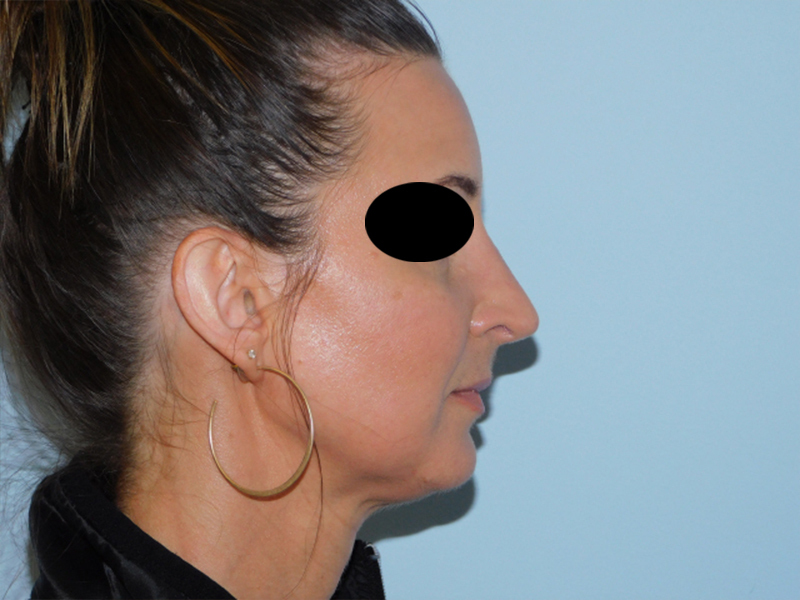 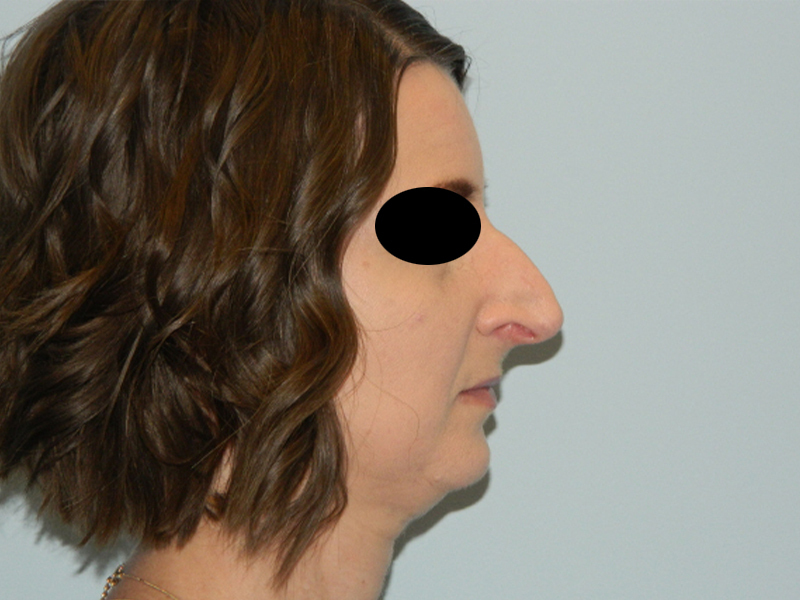 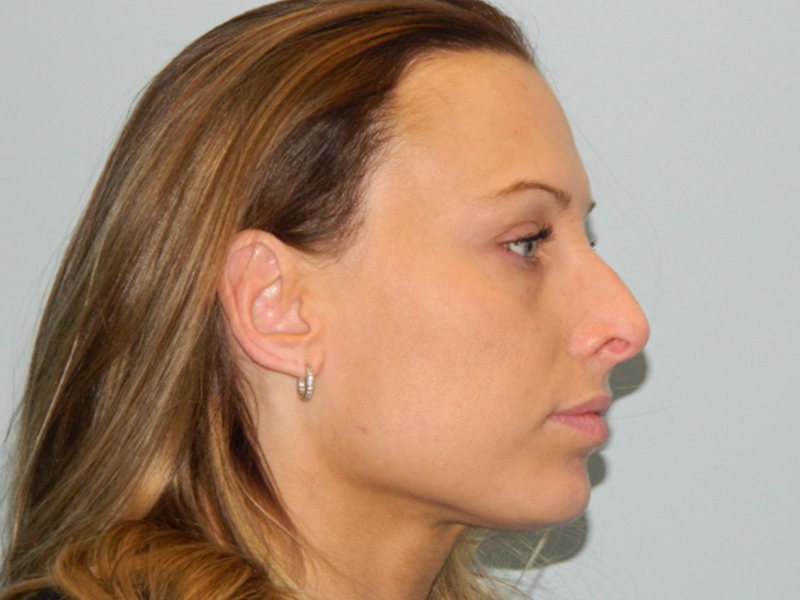 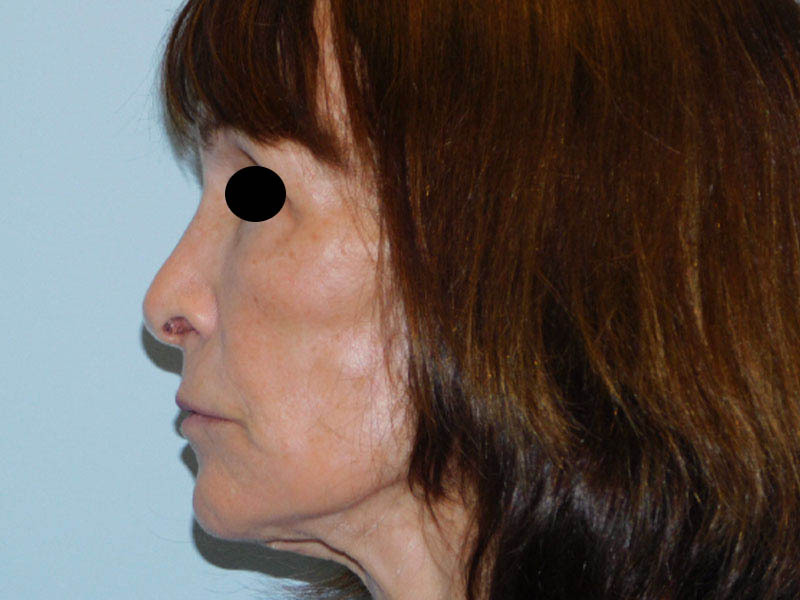 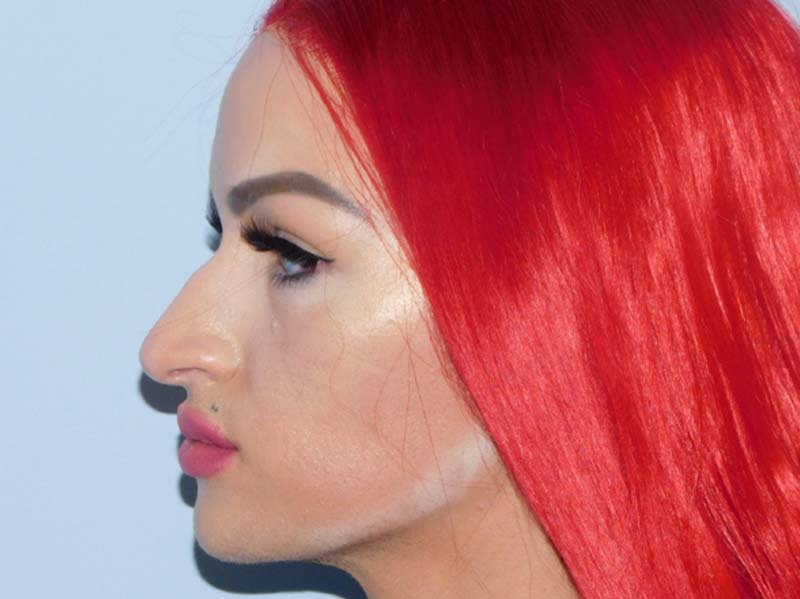 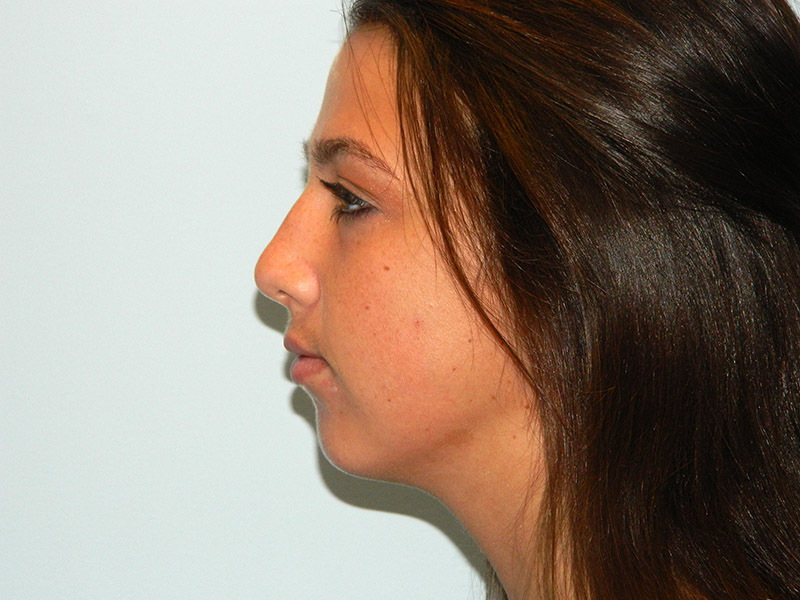 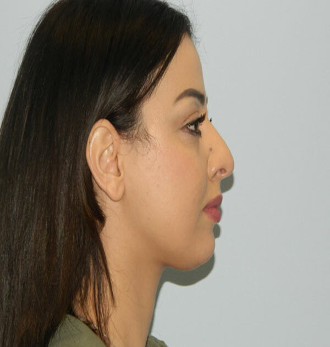 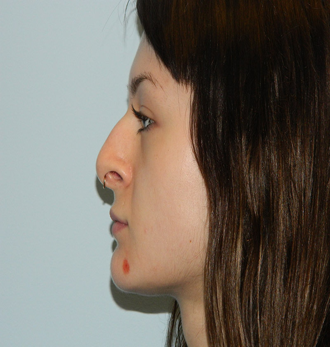 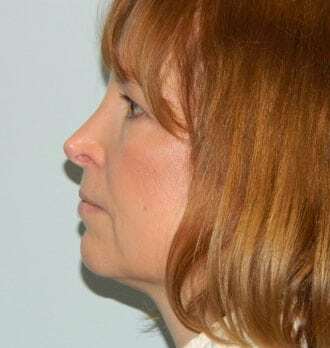 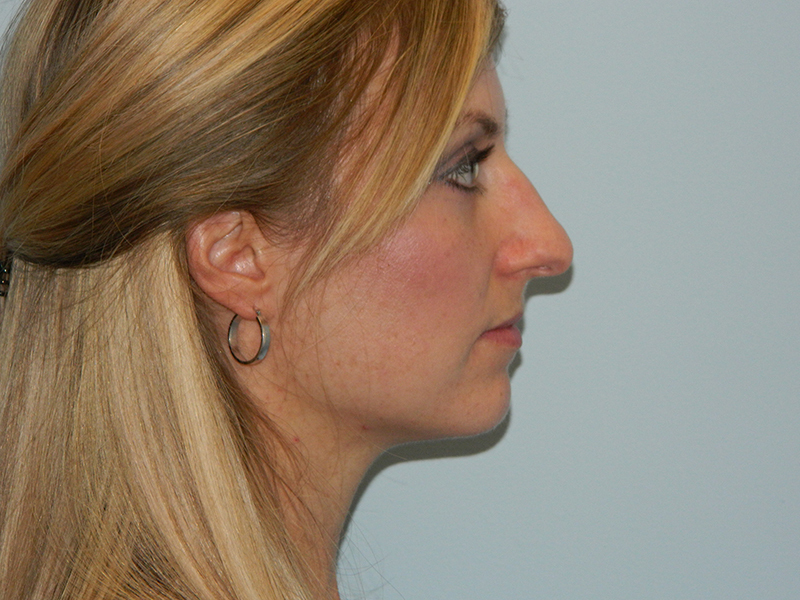 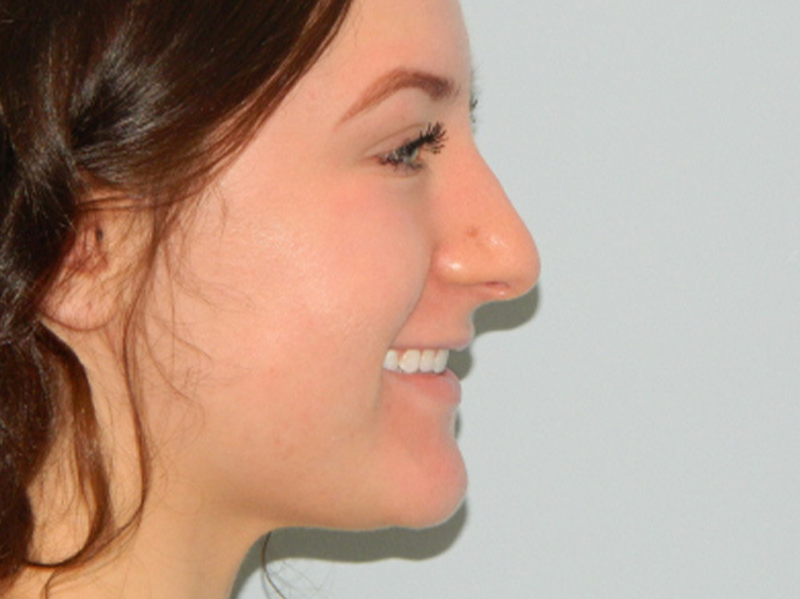 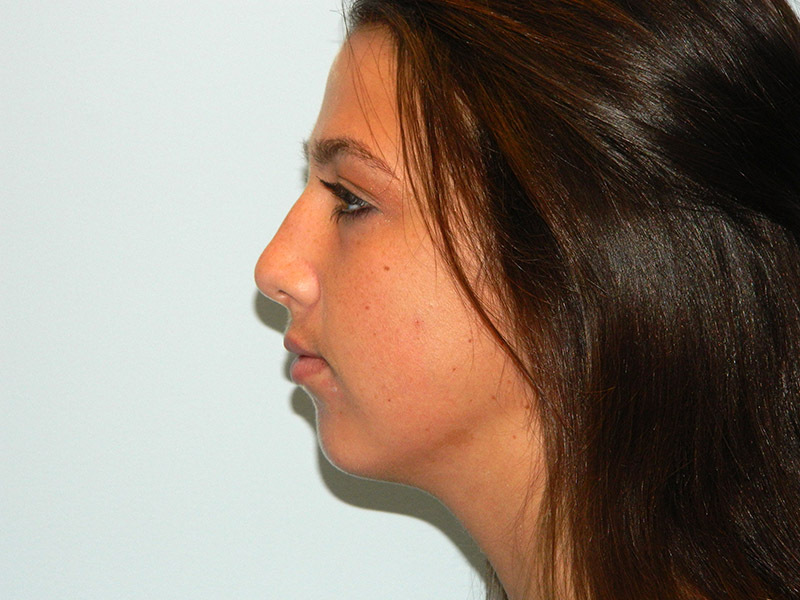 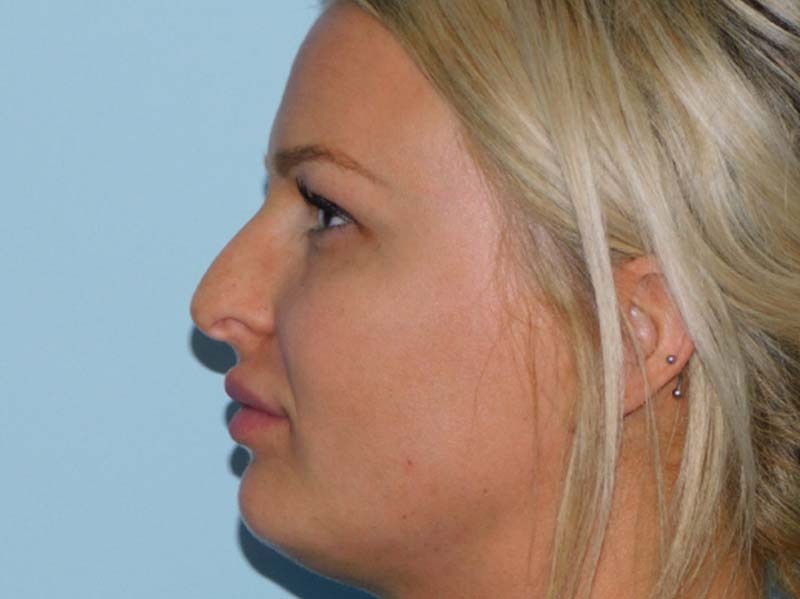 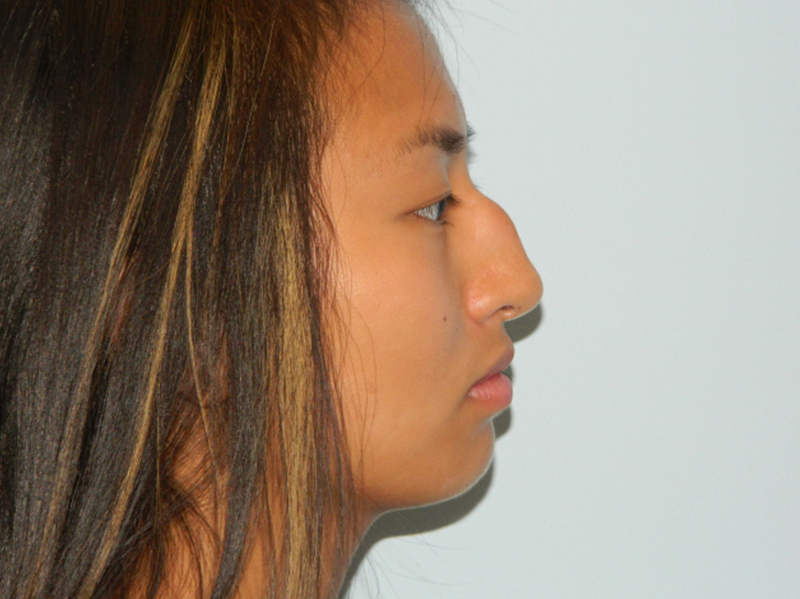 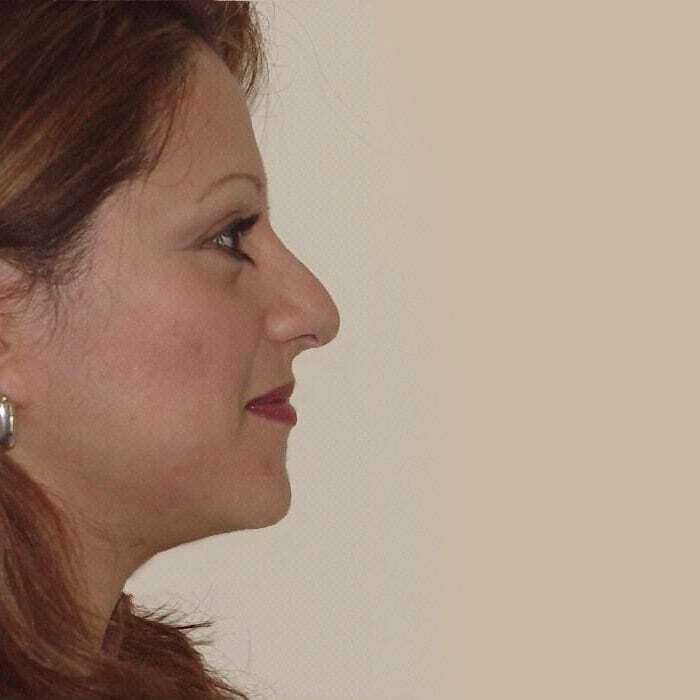 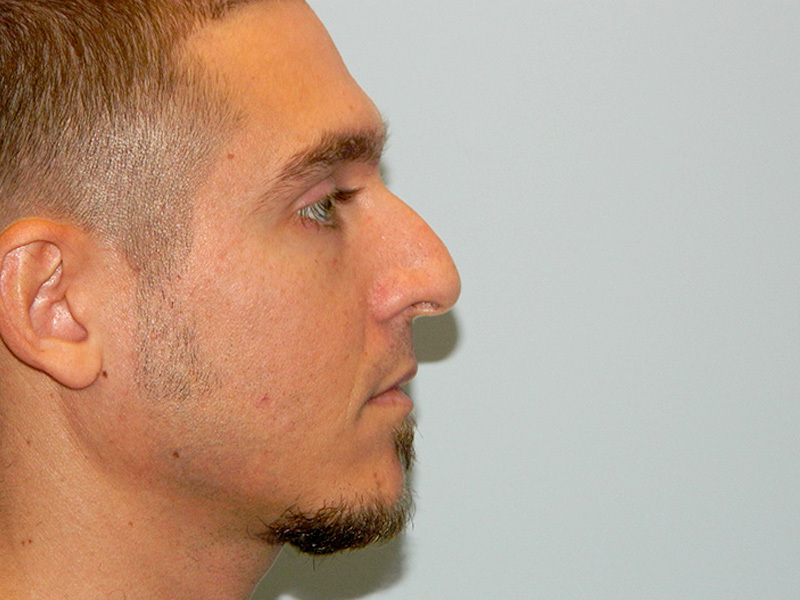 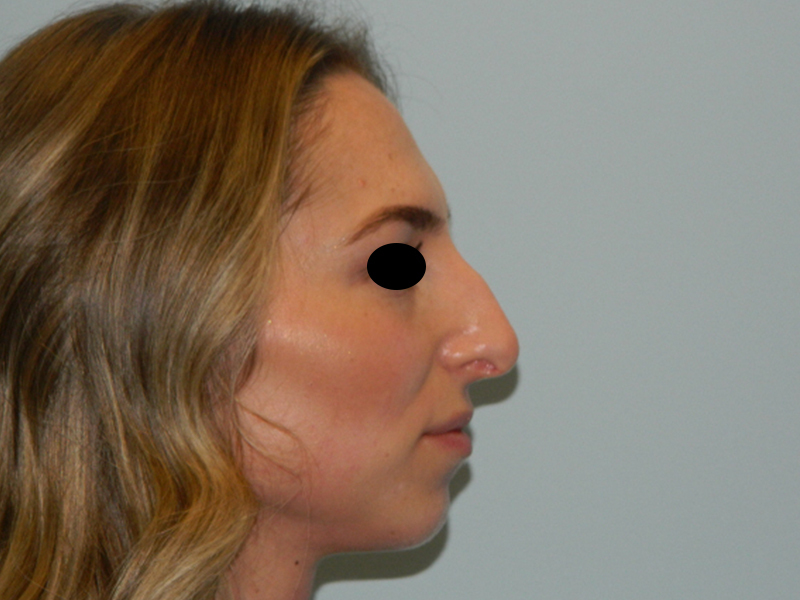 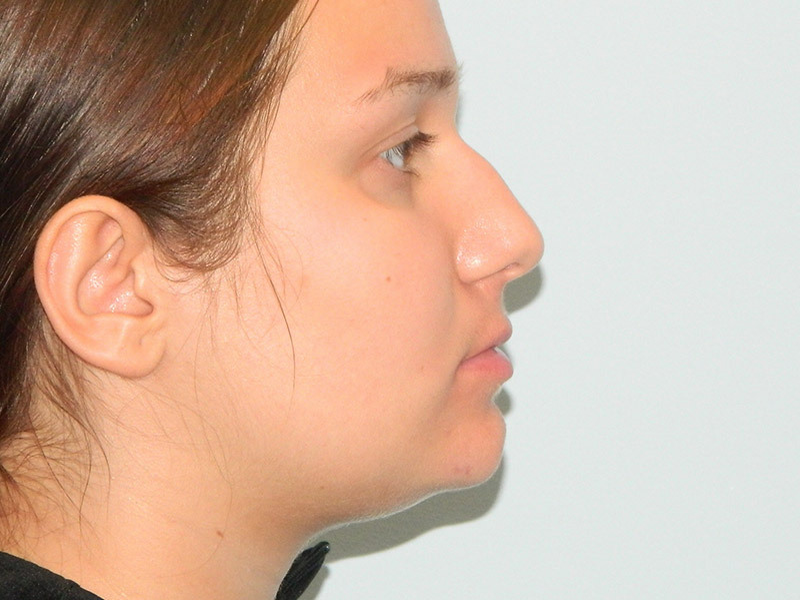 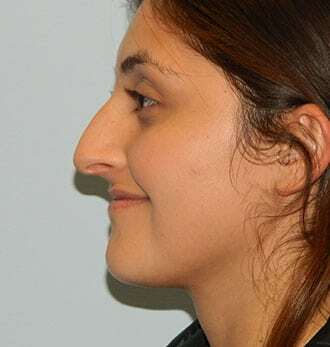 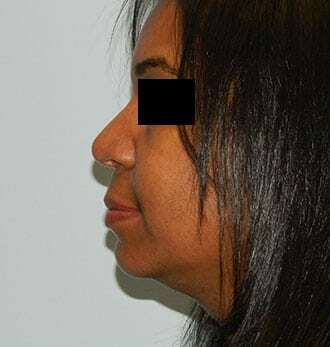 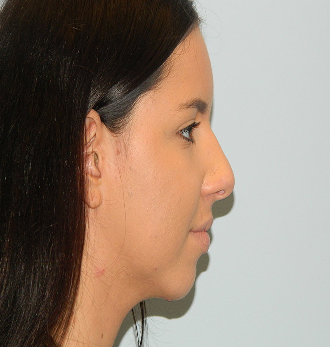 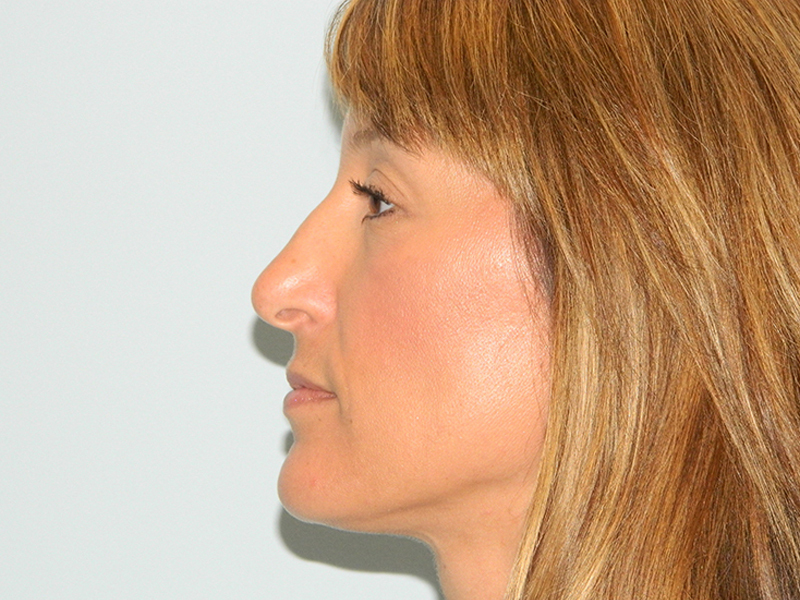 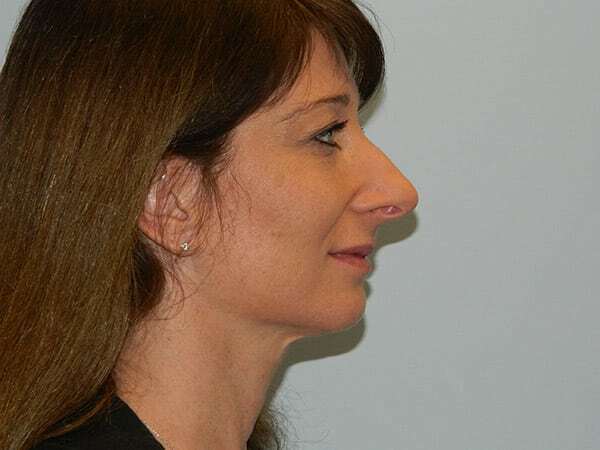 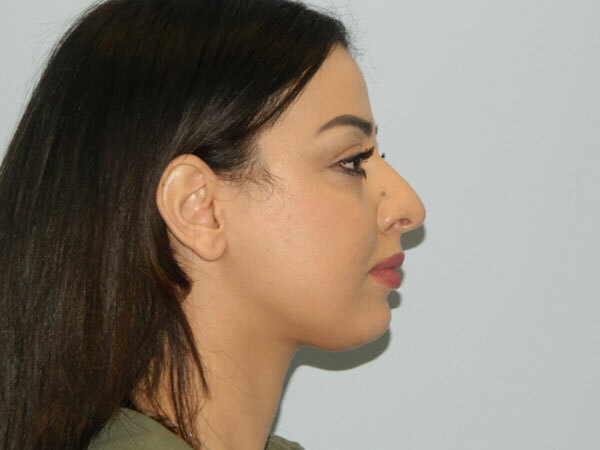 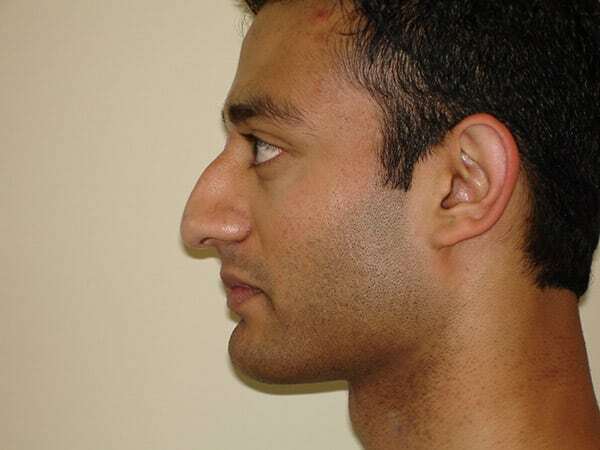 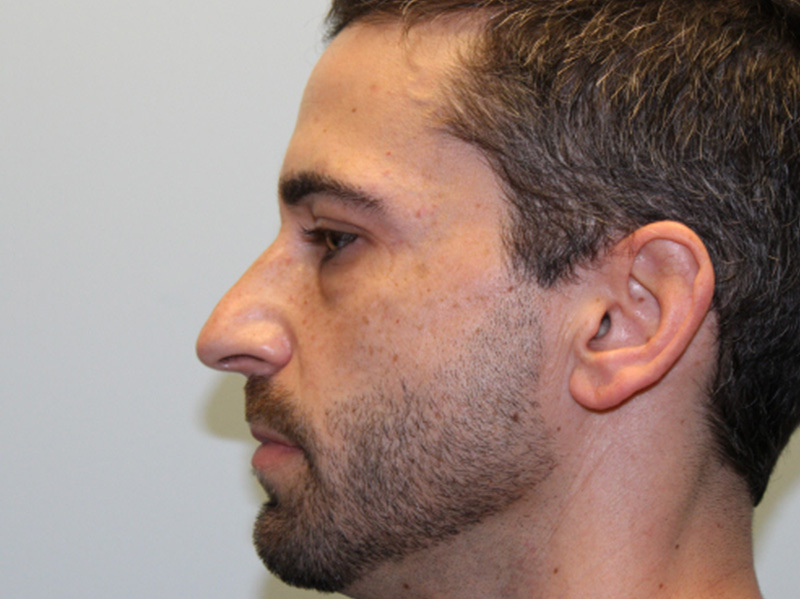 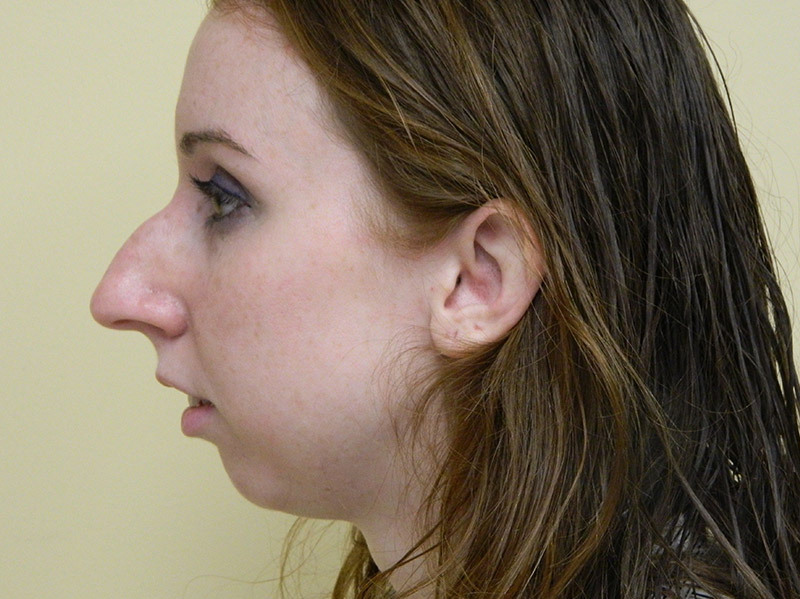 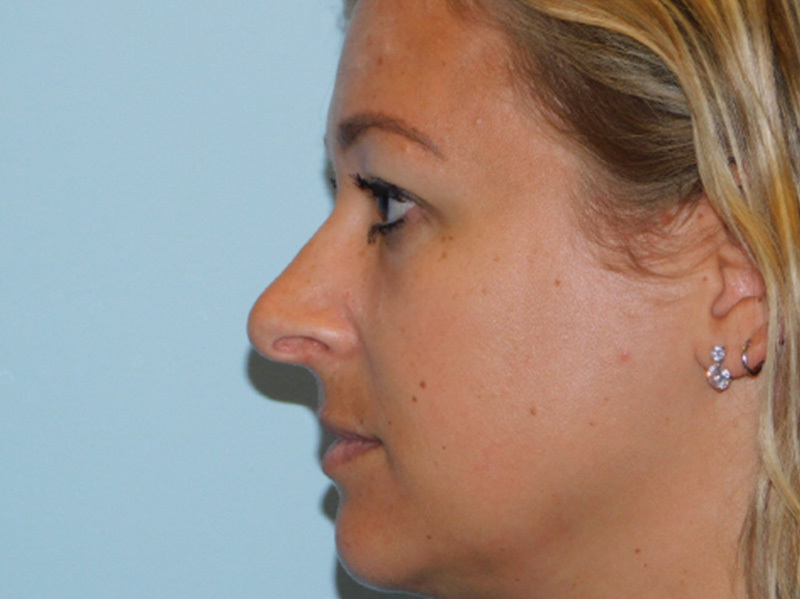 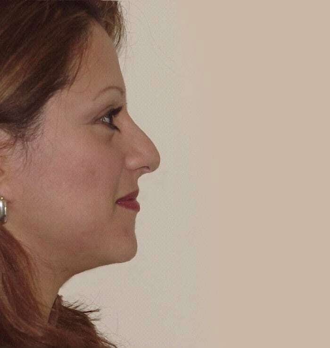 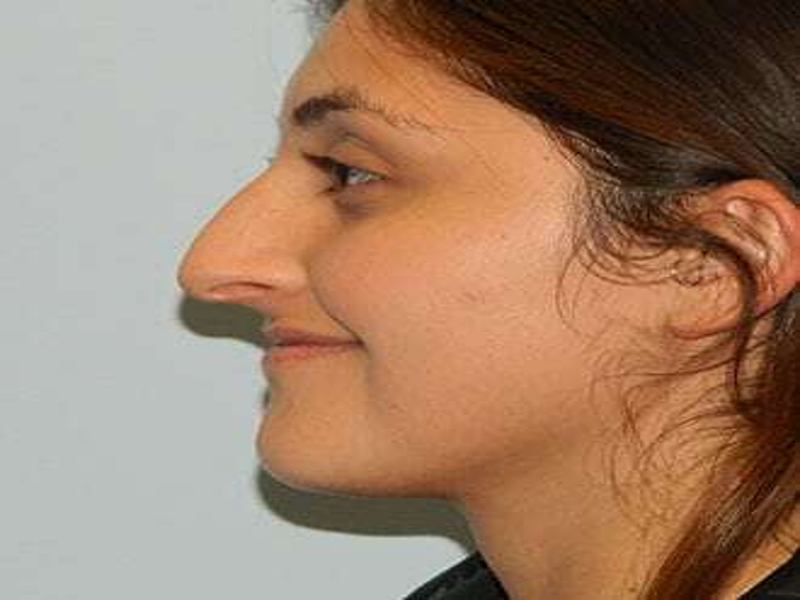 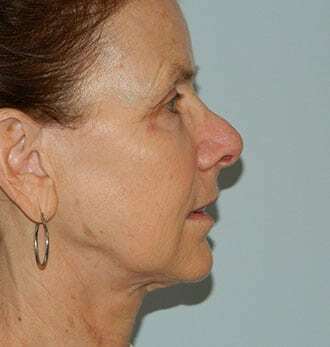 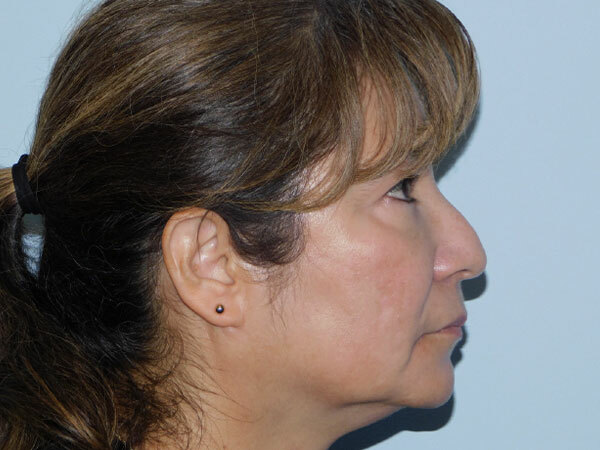 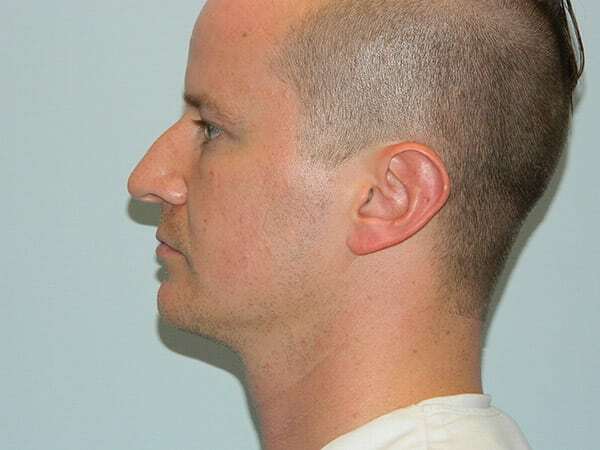 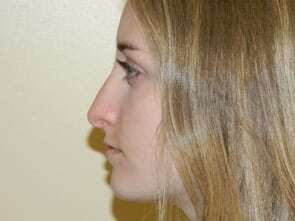 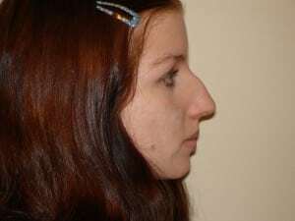 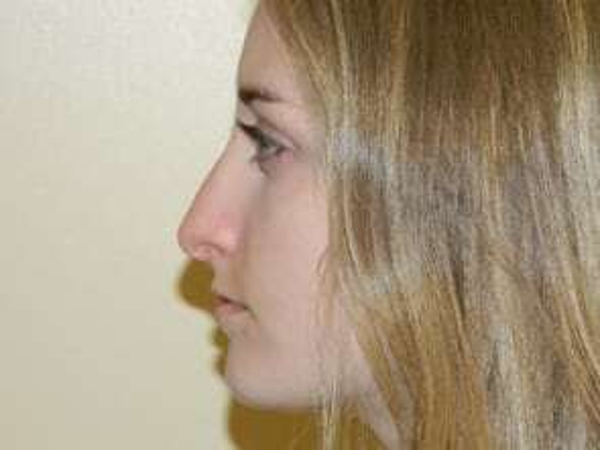 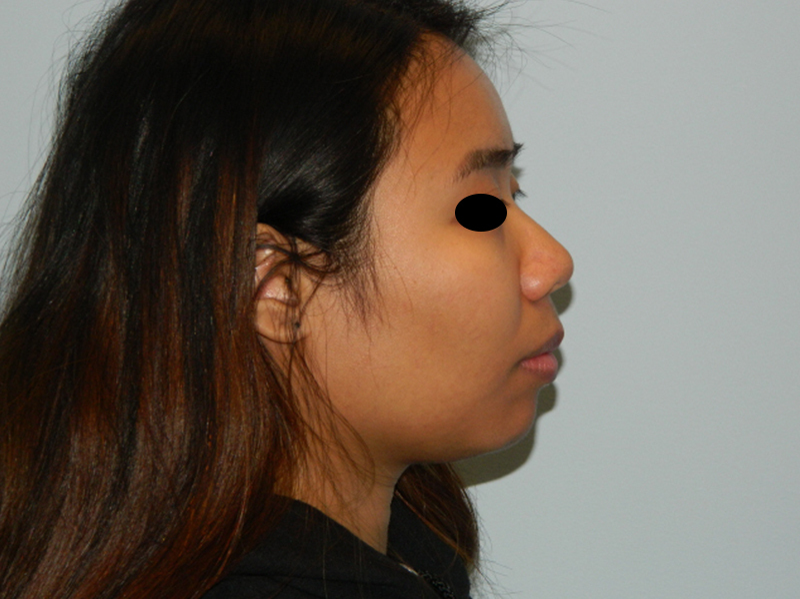 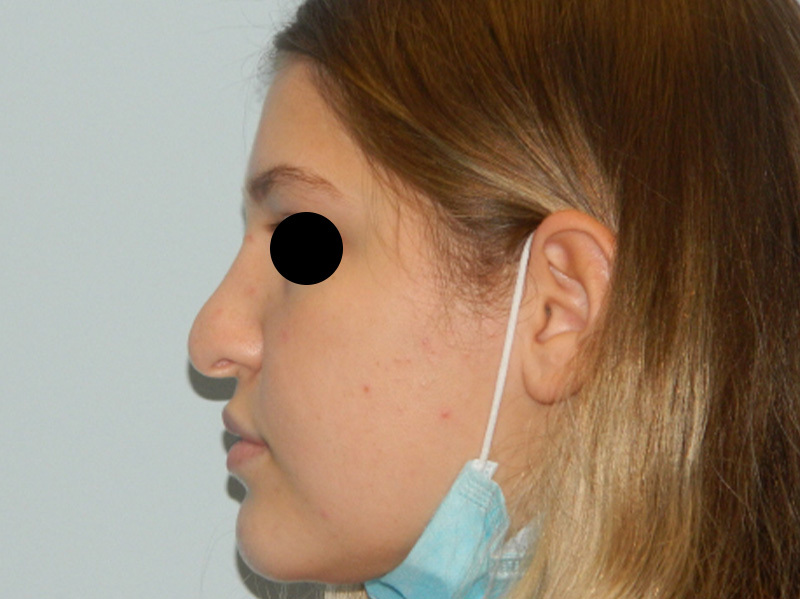 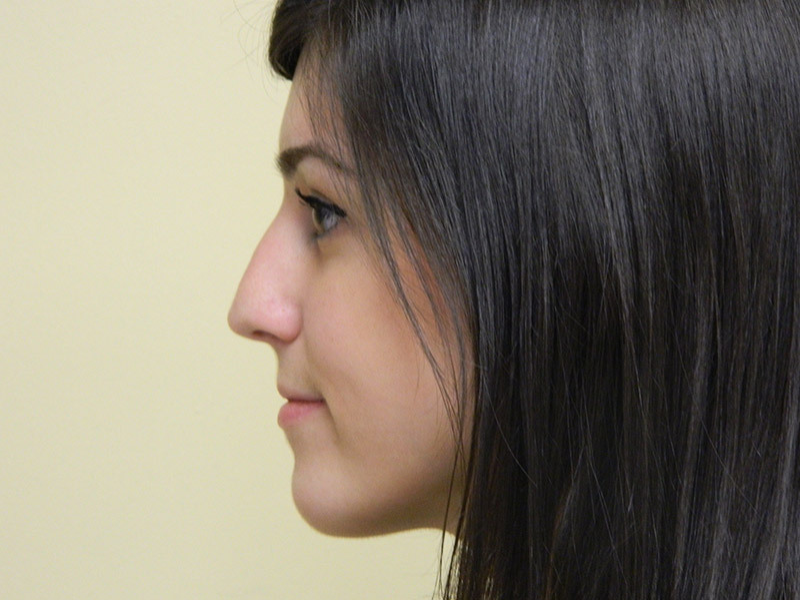 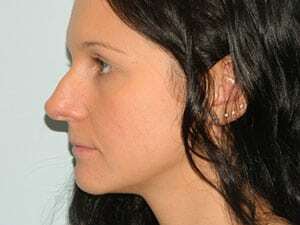 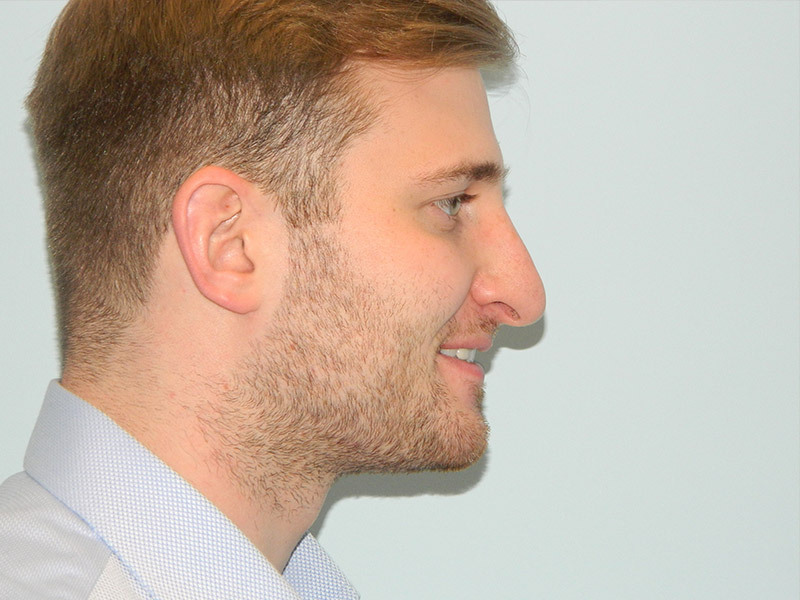 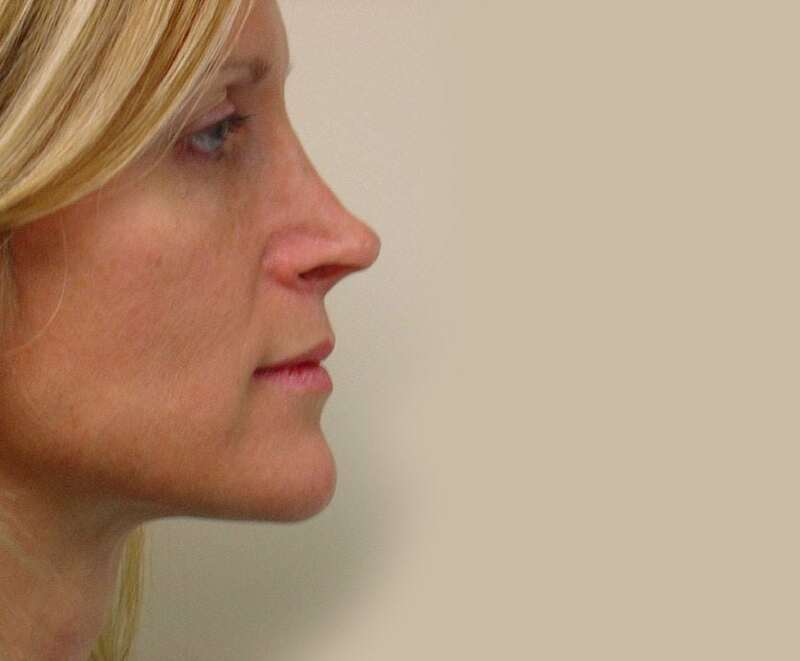 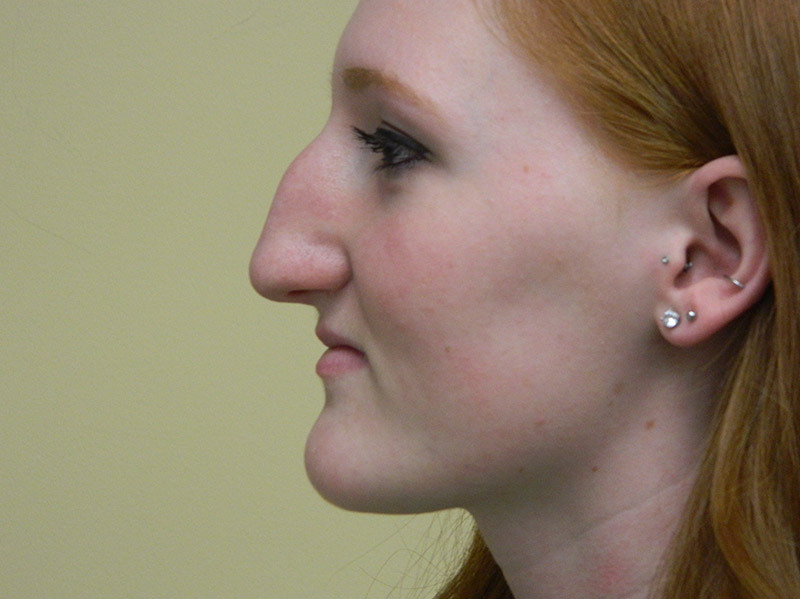 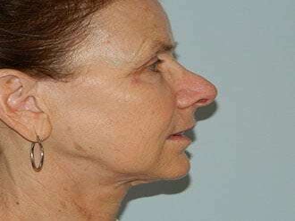 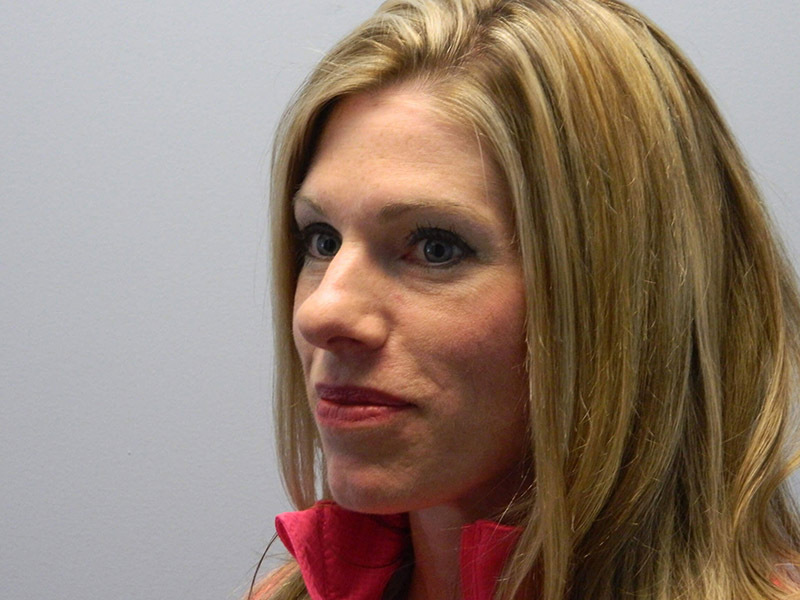 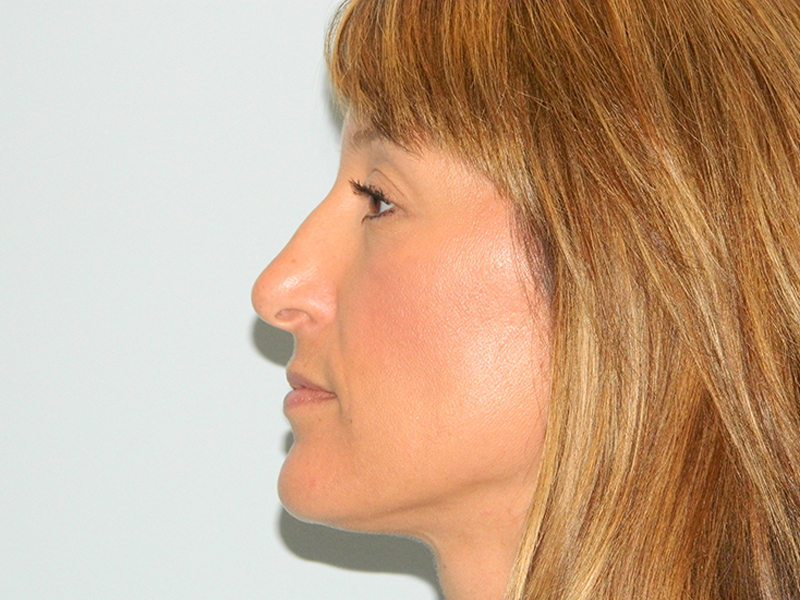 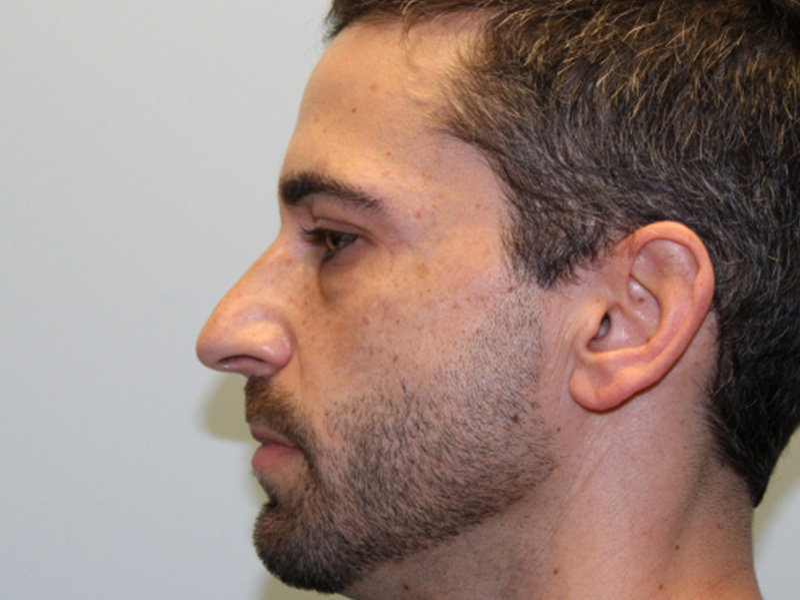 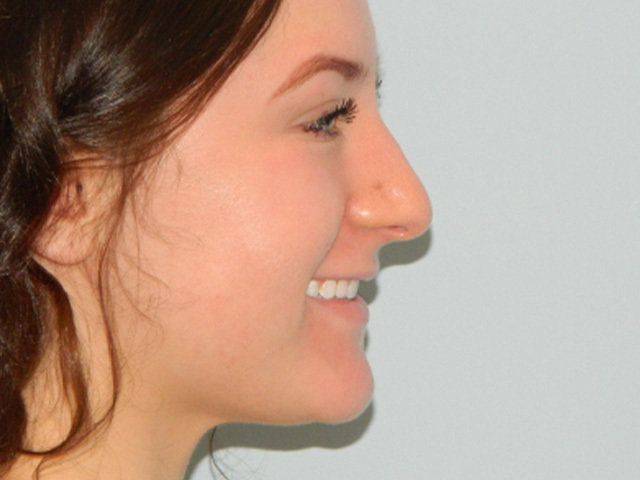 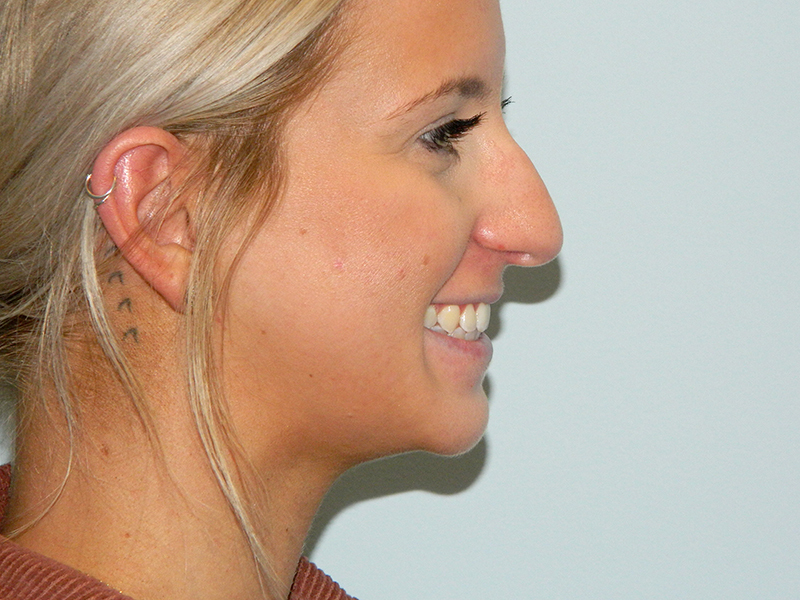 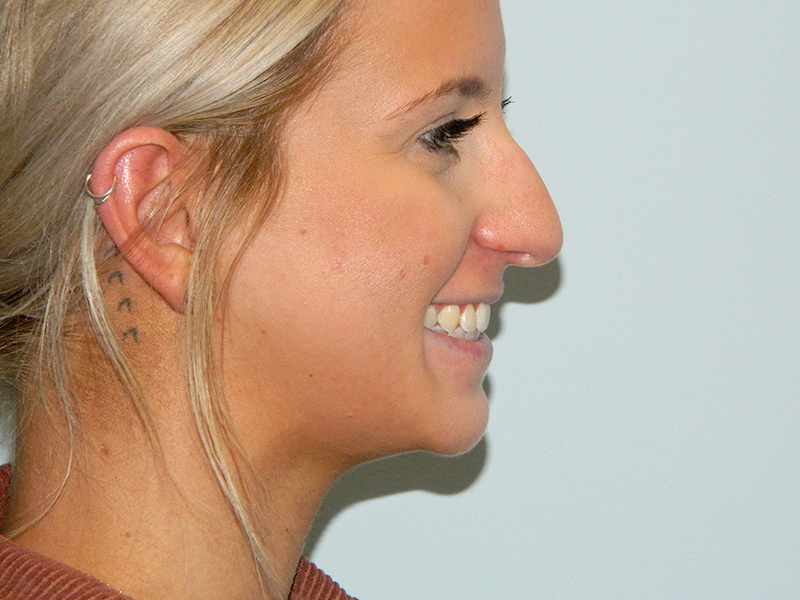 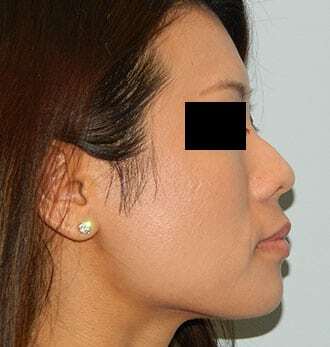 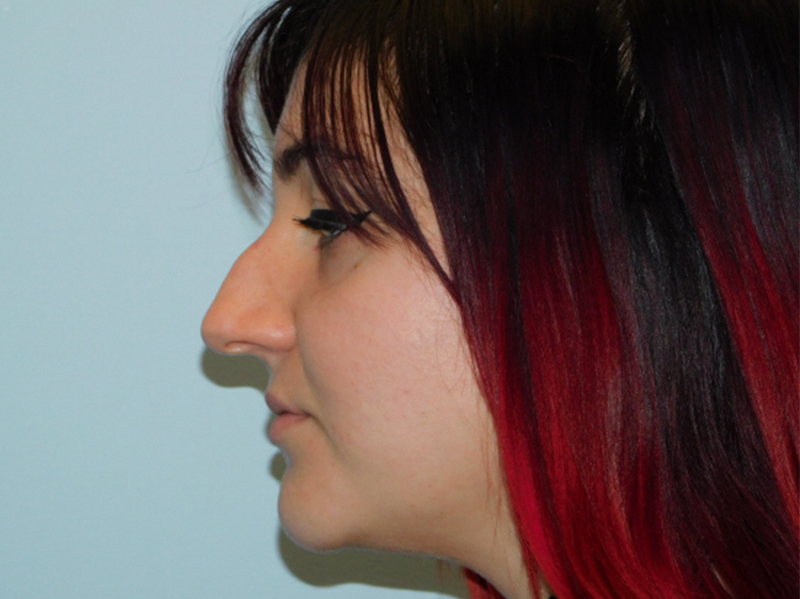 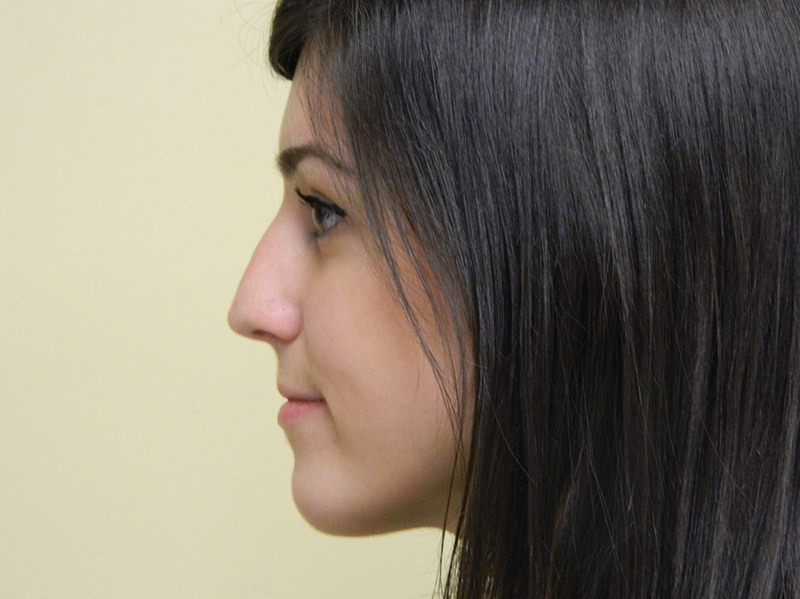 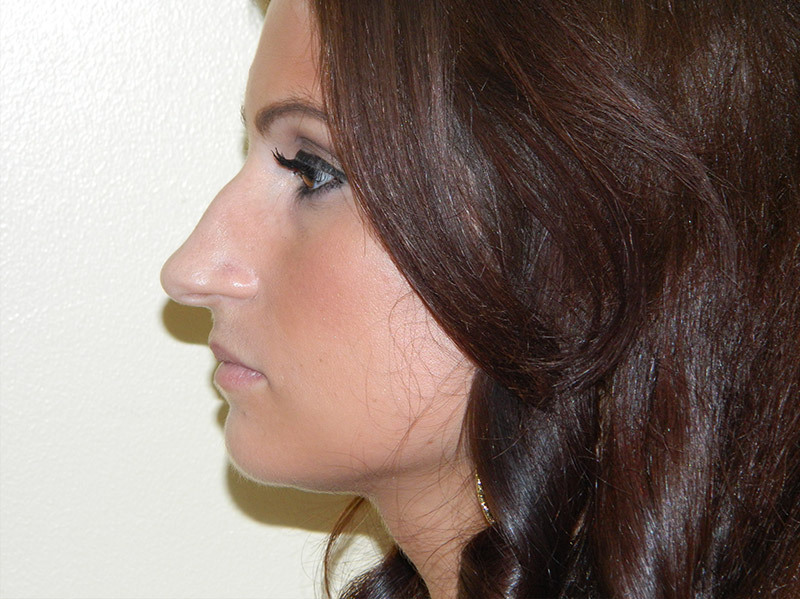 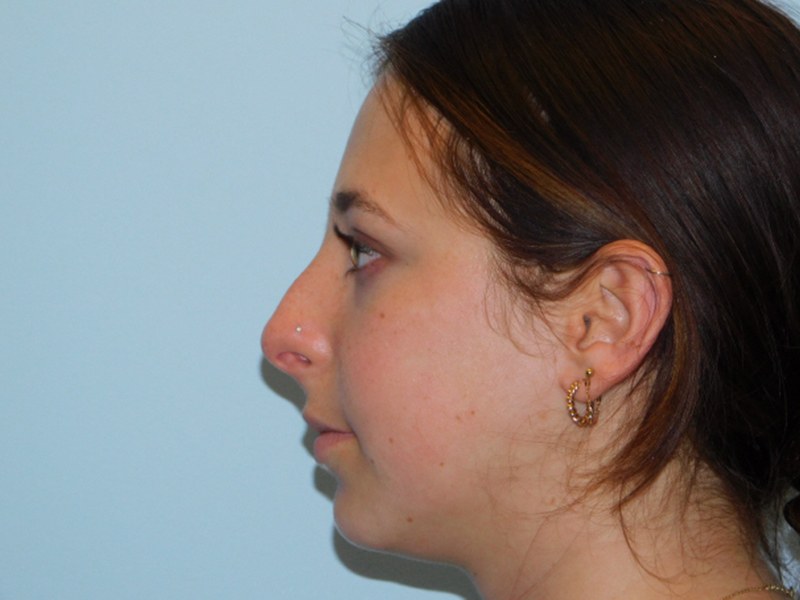 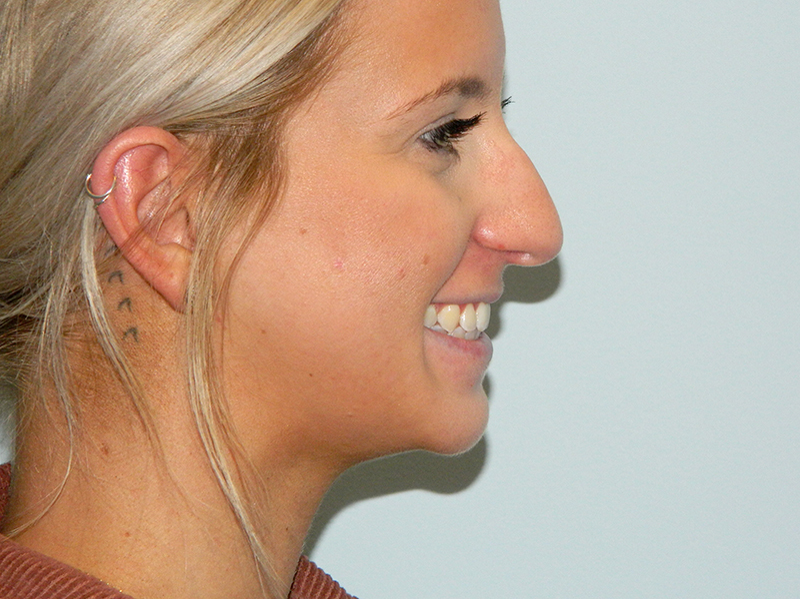 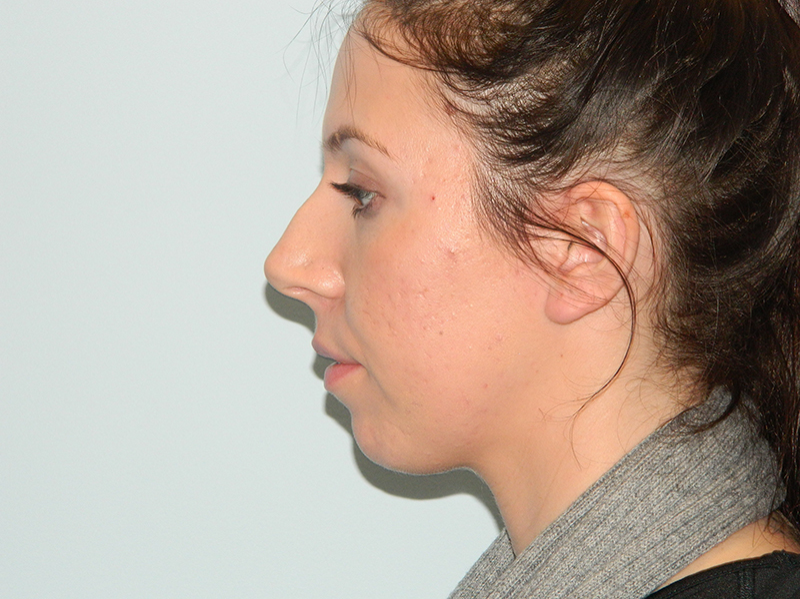 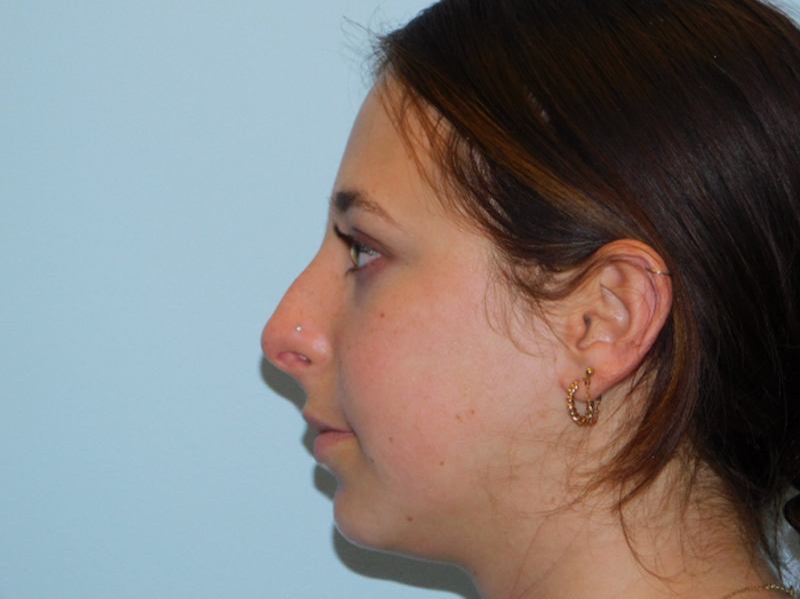 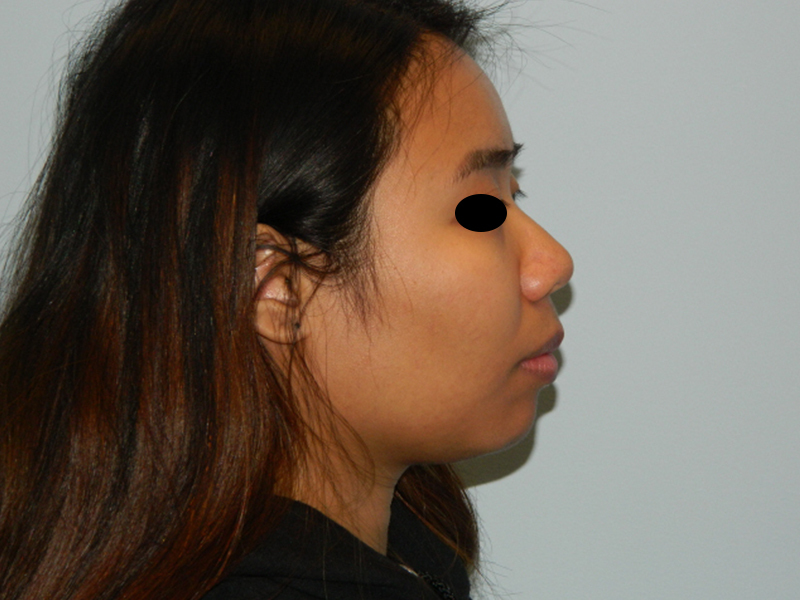 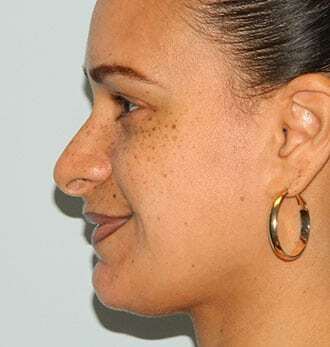 Before and after rhinoplasty for dorsal hump with droopy (ptotic) tip and hanging columella. 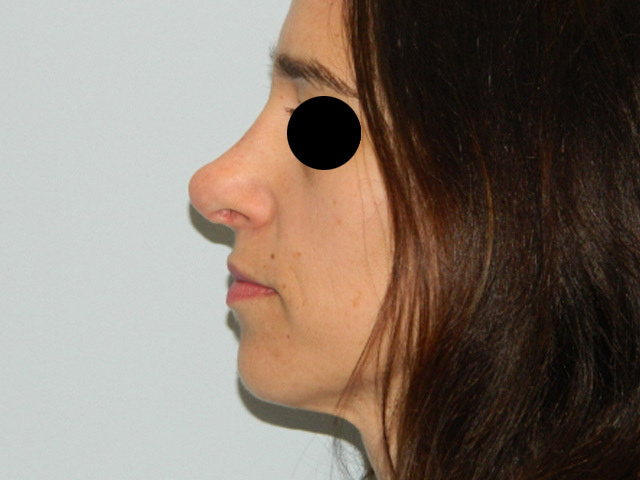 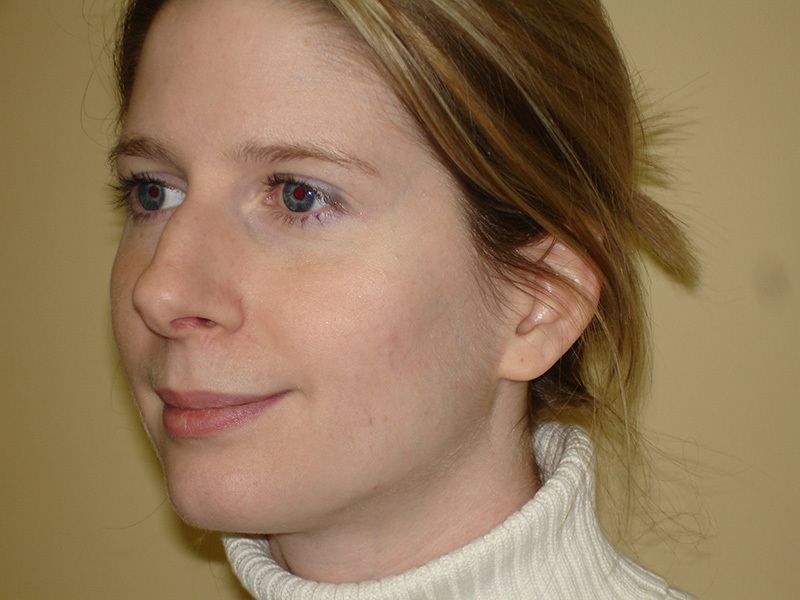 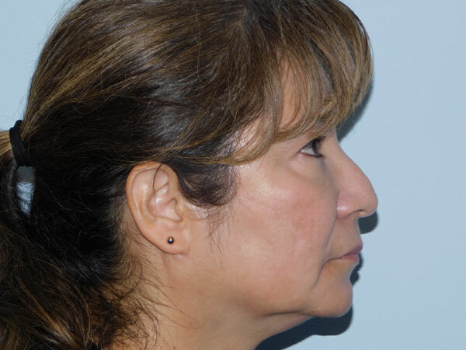 The tracing on the lateral view is made from the preoperative computer imaging done during the consultation. 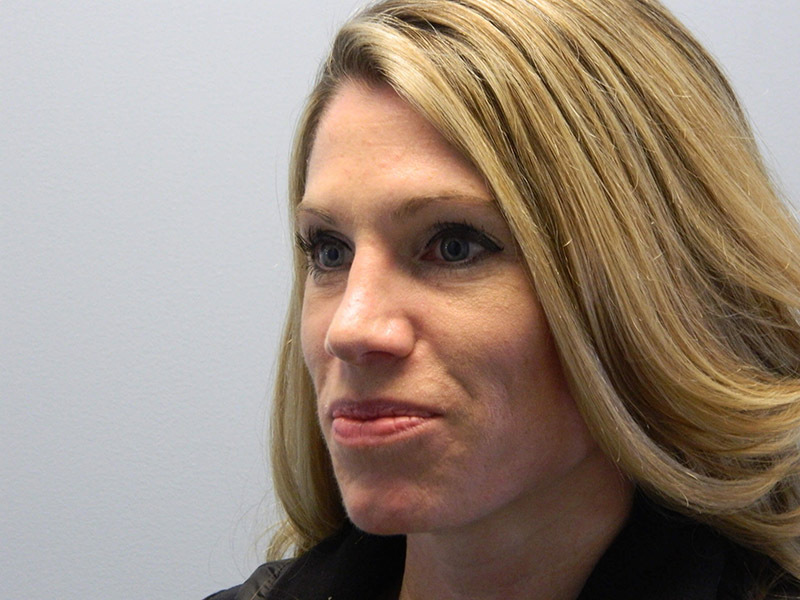 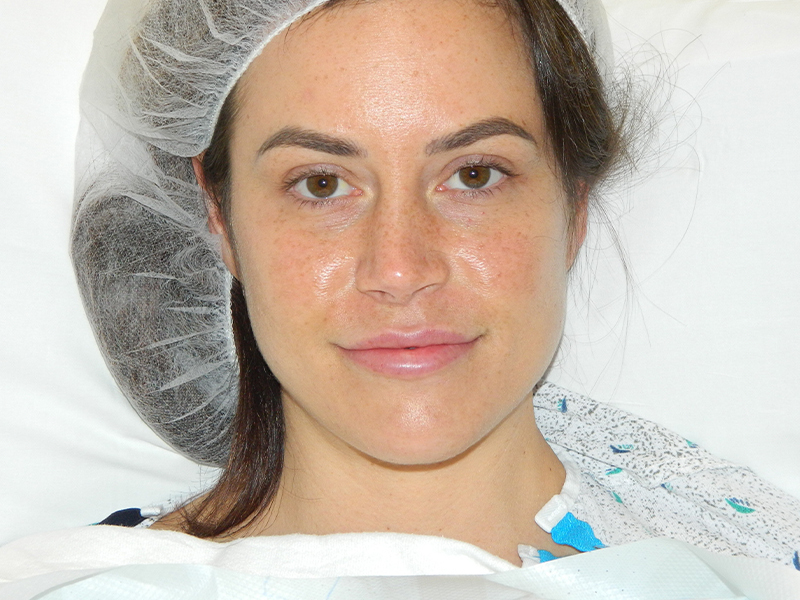 Dr. Pontell creates this tracing which he uses as a guide during surgery to accomplish the patient’s goals. 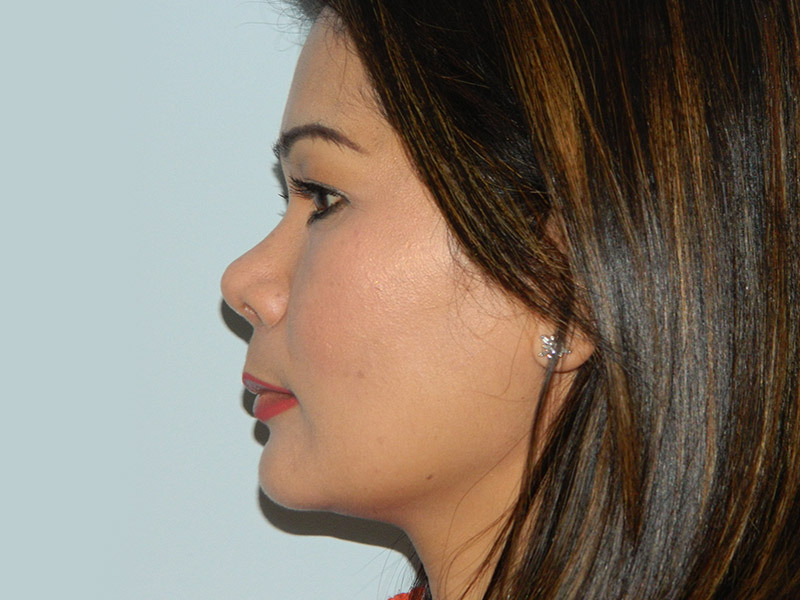 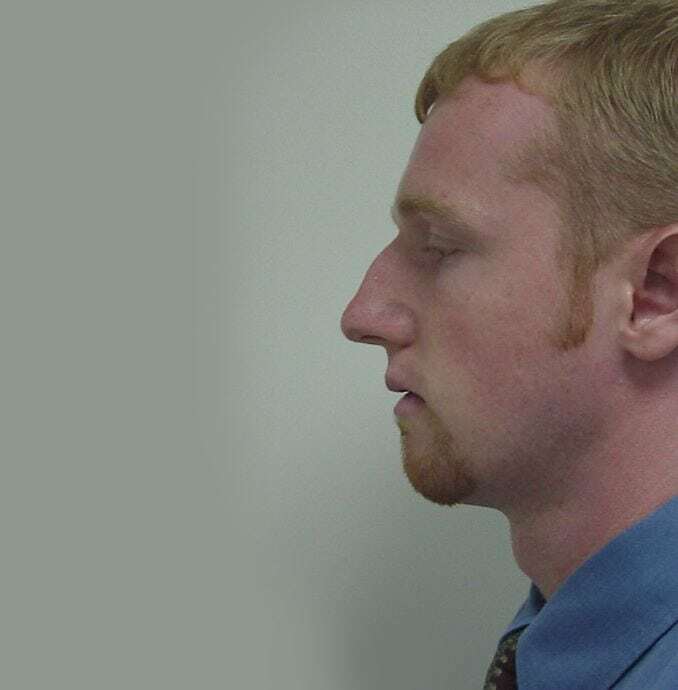 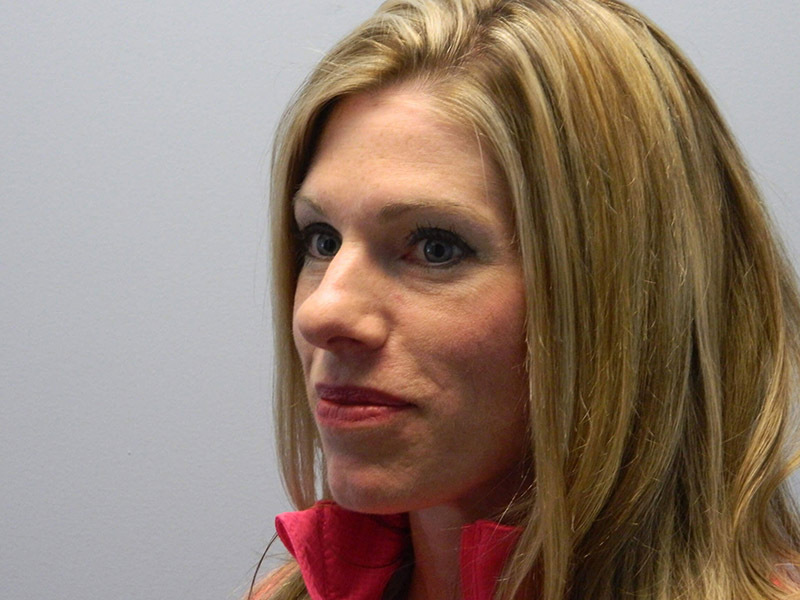 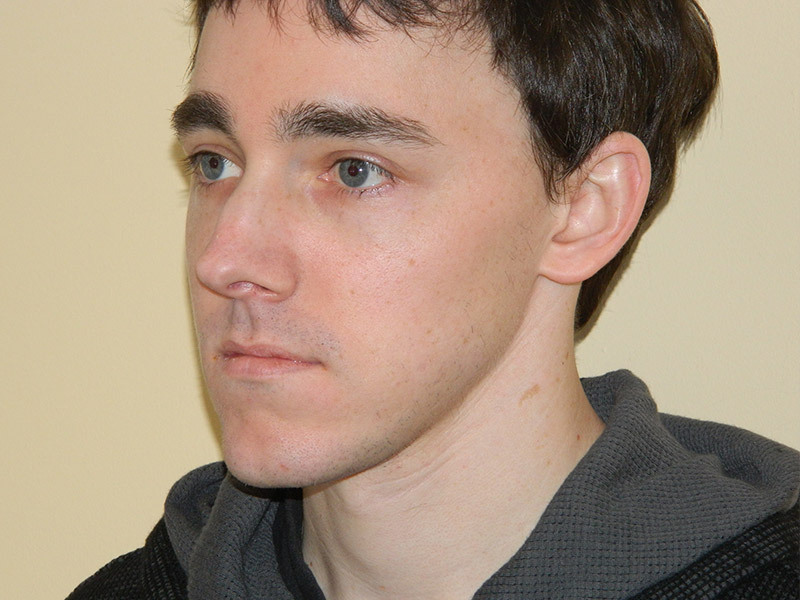 This allows Dr. Pontell to get as close to the desired result as possible. 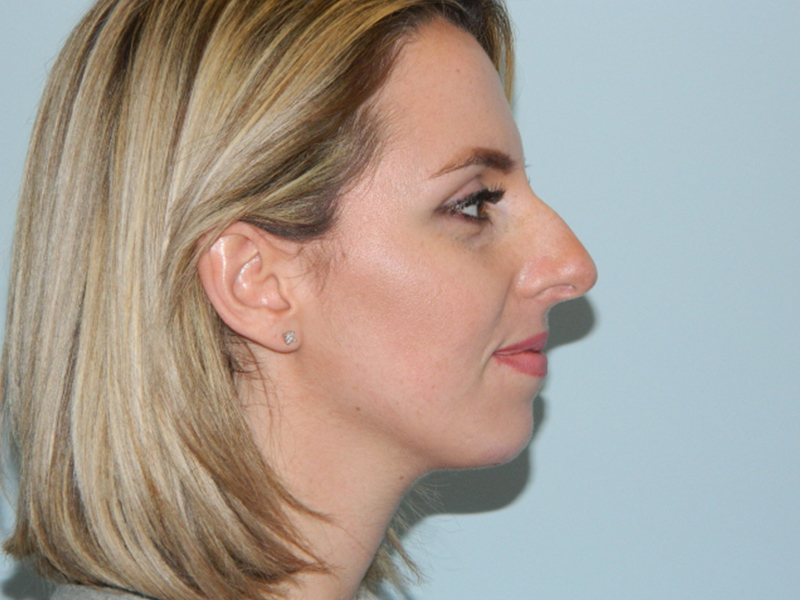 Please compare the desired profile in the tracing to the actual “after photo”.